My name is Jones. Cupcake Jones! 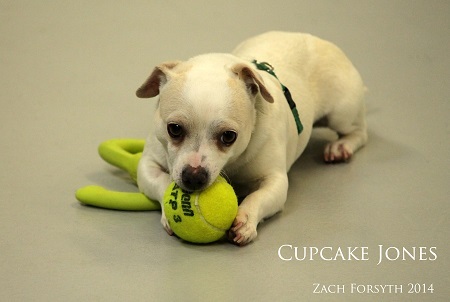 I am a 3 year old Chihuahua pup with a HUGE personality. 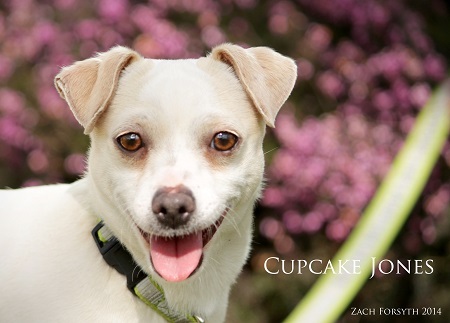 I am quirky and humorous and looking for that special home to love me for all that I am. I really do live up to my namesake and I think if I were an actual cupcake I’d be some kind of delicious vanilla meringue or gooey marshmallow treat. What would you be? Do you have any other sugary sweet canine companions in your home? PERFECT! I love other small dogs like me and REALLY want a brother or sister to play with; I just love being surrounded by friends. Even feline ones! I’d be best in a home without small children, however, cause I’m just a little guy myself. I’d love to meet you! Just fill out an application at pixieproject.org. I am neutered, microchipped, and current on all vaccines. My adoption fee is $250.